The aloe vera leaf has everything our body needs to be healthy: enzymes, amino acids, sugars, vitamins and minerals. That is why aloe vera is considered a universal cure. If you ever want to enjoy the miraculous benefits of this herbal medicine, all you have to do is grow it at your home in pots! 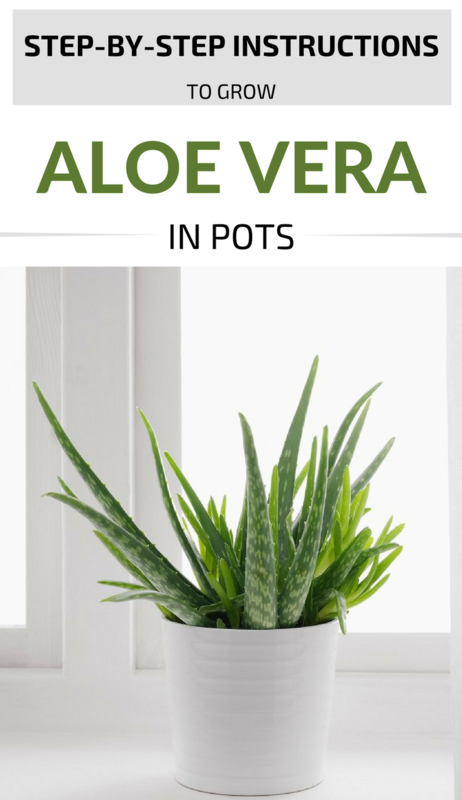 The aloe vera plant can reach a height of 1 meter and needs a bright and sunny place, away from air or frost. The minimum temperature it resists is 42.8 degrees Fahrenheit. The aloe vera plant prefers a light soil, so the earth needs to be mixed with charcoal and broken brick. For drainage, put at the bottom of the pot a layer of pebbles or crushed walnut shells. On top of it, add a thin layer of sawdust sprayed with fertilizer, and who can, dry dung mixed with small pieces of moss. When the plant’s roots will consume the nutrients from the pots and grow to the bottom, the plant will get a boost and will grow better. Transplantation (soil change) is recommended to be done every 2-3 years. Young plants are moved into larger pots, and change the soil every spring, while old plants – every three years. The multiplication of the aloe vera plant is done through seedlings, which will be separated from the mother plant and moved to sandy soil between May and June. The plant should be watered frequently, taking care that excess water leads to root rot. In winter, aloe vera is kept at 57 degrees Fahrenheit, in bright places. During summer it needs a lot of warmth, sunshine and moderate humidity.